February 11, 2019: Malakoff Diggins State Historic Park is experiencing limited accessibility and is subject to periodic closures due to snow and road conditions. Updates will be posted here. Thank you for your patience and understanding. The Museum and Visitor Center are open from Memorial Day to Labor Day. Travel 11-miles north on highway-49 toward Downieville. Turn right onto Tyler Foote Road, stay on the pavement and follow the yellow line to the park. The road changes names a few times (Curzon Grade Road, Back Bone Road, Derbec Road, North Bloomfield Road). These are not high-speed roads. 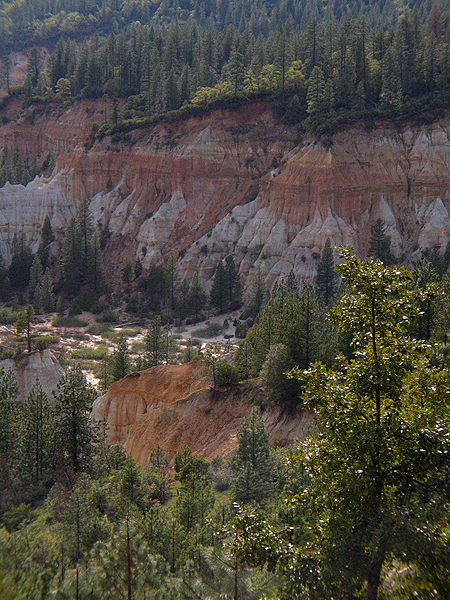 The park is 26-miles from Nevada City. 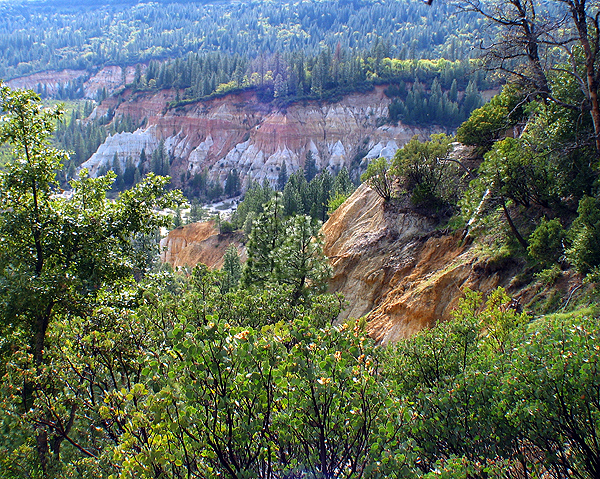 Malakoff Diggins State Historic Park is nestled amongst the pine-studded chaparral forest of the Sierra Nevada Foothills and is home to California’s largest hydraulic gold mine. 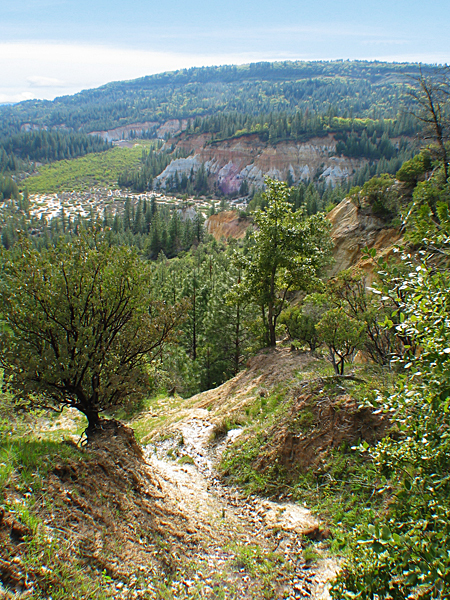 The 3,000-acre park encompasses the town of North Bloomfield and the historic Diggins site, which allows visitors to step back in time and experience the boom and bust of the California Gold Rush. 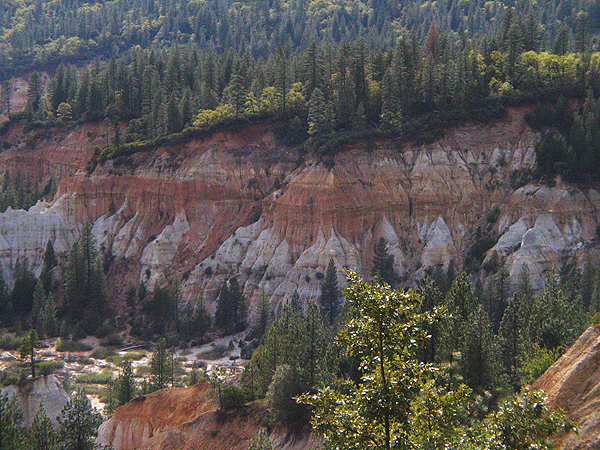 Visitors can see huge cliffs carved by mighty jets of water, results of the gold-mining technique of washing away entire mountains to find gold. Legal battles between mine companies and the downstream agricultural towns of Marysville and Yuba City ended this particular method of mining, and was the first environmental lawsuit in the United States. The park Visitor Center features displays on mining and pioneer life in the old mining town of North Bloomfield, as well as a short video on hydraulic mining. The park also offers unparalleled hiking, camping, and fishing opportunities, and, in winter, snowshoeing. 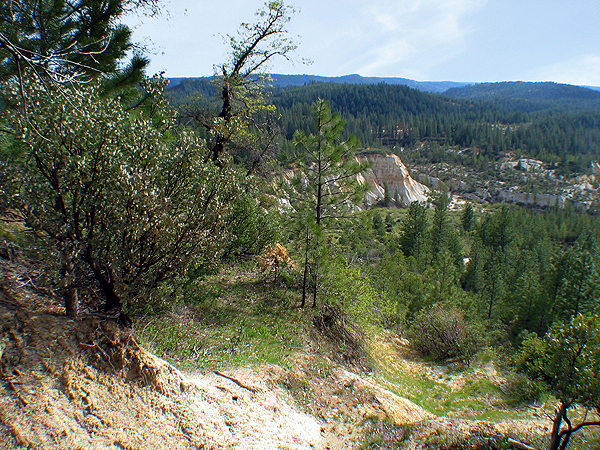 Malakoff Diggins has over 20 miles of trails throughout the park. 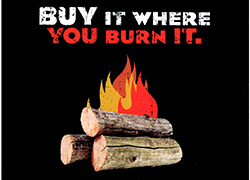 Trails range in length from 1/2 mile to 3 miles one way, from easy to steep elevation changes. 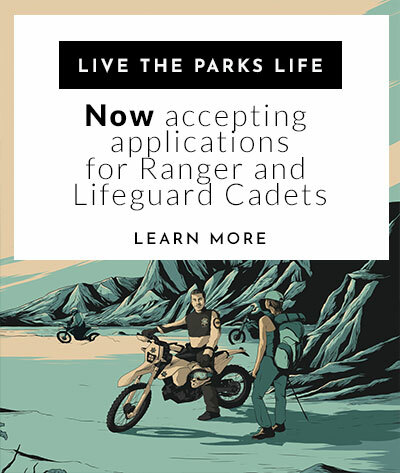 Call the park to learn about available dog-friendly trails. Dogs must be on a controlled leash at all times. The Chute Hill Campground and Group Camp will be available for reservation from May 25th through Labor Day weekend, and will be on a first come, first served basis from Labor Day weekend and closes September 30th, for the 2018 season. The Miner's Cabins will be available for reservation from May 25th through Labor Day weekend, and will be on a first come, first served basis from Labor Day weekend through November 25th, for the 2018 season. 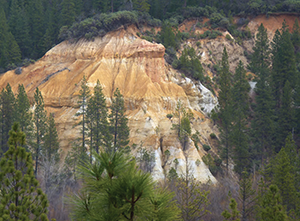 At Malakoff Diggins State Historic Park, the ancient river gravels are important from a geologic perspective in that they provide insight into the timing of the geologic events that gave rise to the current Sierra Nevada. From the human perspective, the gold in the gravels was a source of vast wealth that drove that development of early California. 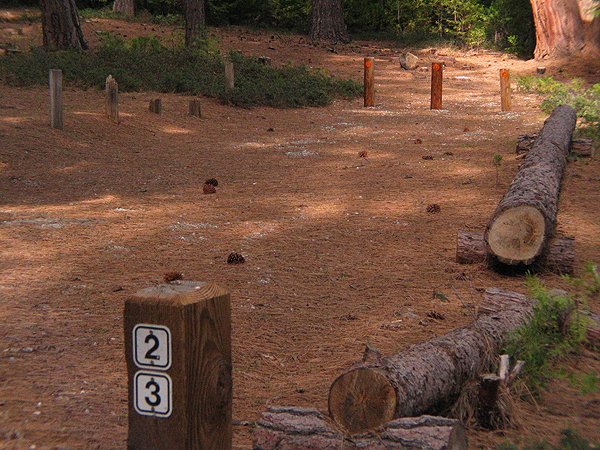 The park is open daily on a self-guided basis from sunrise to sunset. The visitor center and museum are currently open intermittently, please call ahead to check for availibility. The visitor center and museum will be open seven days a week beginning Memorial Day weekend. Tours of the town site are offered at 1:30 pm when the visitor center is open. Please call for available scheduled times. Additional park information may be found at www.malakoffdigginsstatepark.org. Pay fees at Museum - $10.00 per vehicle Memorial Day weekend through Labor Day. $5.00 per vehicle the rest of the year.